It's almost surreal to think that not too long ago we were trying to figure out what BBOTT was and get any details we could find and now we've reached the half way point of the season! We only have a few more weeks to hear Justin's soulful songs about Pizza! What will we do to pass the time? But before we jump ahead to the end, I guess we should talk about week 5. We started the week crowning Danielle as the new Head of Household. I was honestly a little surprised it took this long for us to get a competition based off of answering questions. In a normal season it almost seems like we rotate every other week between a physical competition and answering questions. It's refreshing to not see a competition like this until week 5 but I'm glad we didn't lose it completely. I think it's good to have a wide variety of competitions so that everyone gets a chance to show their strengths. It was fairly obvious Danielle would be going after two people in the Ball Smashers group - Whitney and Shelby just happened to be the unlucky chosen ones. The real question for me was who would America be nominating? I really thought it was going to be Kryssie after her intolerable week as HOH but she somehow really managed to kind of fade into the background and not stand out too much. I think calming down ultimately helped her and resulted in America nominating Scott. As much as I thought I would hate America's involvement and to some extent, I do, it's been one of the most fascinating things about this season. America has been bouncing back and fourth between alliances, it's almost like this season WE are the ultimate floater. Between Shelby winning the care package this week and the super fun POV competition, I couldn't be happier! I just hope it hasn't made her a bigger target in the house and she doesn't end up evicted. She is such great feeds, watching her swear up and down like a sailor during the Veto Competition was one of my favorite moments this week! I loved that entire competition in general and the fact that it fit in with the Halloween theme of the week. I have to admit though, I would've been terrified of those creepy dolls! from Caleb and give it to her because she crushed it. 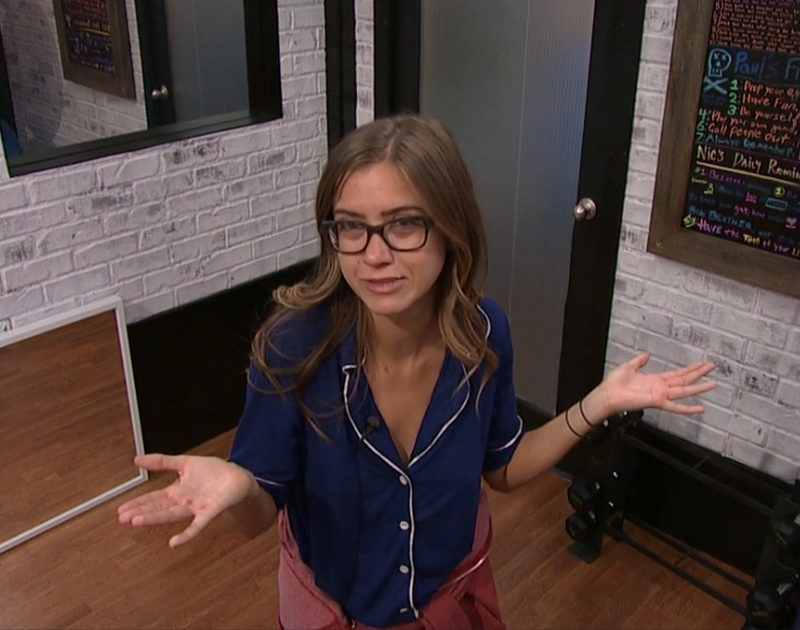 And credit to Whitney for managing to get saved by the Veto. I did not see that one coming! She's really done a great job this week realizing she's probably on the bottom of the Ball Smashers alliance and forming a relationship with the other side of the house. Morgan ended up being nominated as the replacement nominee leaving us with Morgan, Scott and Shelby on the block for eviction night. I think this time, we might be seeing The Virgin King evicted. I'm not ready to see the other two go so I really hope this prediction comes true. Overall this week has been really great, I think everyone has kind of stepped up their game strategically and that's what I really wanted to see at this point. Plus, lets not forget the highlight of the week when the Austwins and Lawon entered the house. Oh wait, that didn't really happen. Liz and Lawon entered the house for 2.5 seconds each and the other two didn't end up making it. It was a cute idea to have trick or treaters but we definitely needed more or should've at least had each of them stay for a few minutes. I do love that we're getting to see different holidays celebrated in the house than we would during a normal summer season. It's just something fun and different. I am definitely looking forward to seeing the few houseguests remaining celebrate Thanksgiving! I guess it's just my love for the holidays. . .